Want to get your degree in 3 years? It's not a choice that's available to everyone, but if you can make it work, it's a fantastic way to save 25% or more of college costs and possibly get a head start on grad school or other post-grad options. Following an accelerated degree program requires focus, sacrifices, hard work, and a serious time commitment. Before you decide it's the right way to go, it's wise to learn about just what kind of situation you'll have to handle. Scheduling - The schedule for getting a degree in three years is rigorous. You'll likely have to take classes during times when other students have vacation, such as summer break or winter break, and it's just as likely that you'll need to take heavy courseloads during normal semesters. To fit everything in, you may have to take the maximum number of credits allowed per semester. 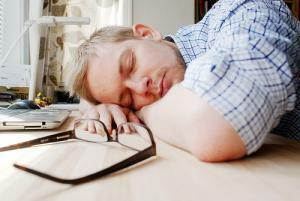 Sleep - Getting plenty of sleep isn't on the docket for most college students who are following an accelerated schedule. Even if you can manage your workload successfully, there's a good chance that you'll want to spend free hours with friends instead of sleeping. If you're a procrastinator who's chosen to speed up your degree timeline, you may as well kiss any chance of having a healthy sleep schedule goodbye. Social Life - It's not common to nurse both an active social life and an active academic life, although it can be done (see "Sleep" section above). The social situation for many advanced students is somewhat of a catch-22, since perfectionistic students tend to feel guilty about hanging out with their friends if they still have work to do, but they also feel guilty about neglecting their friends in favor of work. Another point worth considering is that you may not have time to participate in many extracurriculars if you're on a fast-track path to your degree. Stress - Unfortunately, constant low- to medium-level stress is a way of life for many people who are on track to get their degree in three years. In most cases, the lion's share of the stress stems from juggling a tremendous workload and a complicated class schedule. Stress can easily increase as positive personal habits, such as regular exercise and healthy eating, go by the wayside. Some schools make it easy for you to get your degree in 3 years by laying out pre-designed programs and schedules, and others all but forbid their students from taking that path. If your school is amenable to the idea but doesn't already have a program in place for it, you'll need to arrange your own schedule. Academic advisors are an invaluable resource to students who struggle to fit in all the classes they need to take. They can also act as useful liaisons between students and scheduling coordinators of academic departments. Another part of an advisor's role is to help out a student who feels overwhelmed or stressed. If you're having a hard time managing your courseload or need a listening ear, feel free to seek out an academic advisor for help and attention. It's not possible to fit all necessary credits into a three-year plan without adding extra classes or taking credits during off times. Try forming a plan with the maximum number of allowed credits during most semesters. If you stick to the schedule, will it provide you with enough credits to graduate in three years? If not, pencil in more credits that you can take during summer terms or with "mini courses" over break times. In high school, take all the Advanced Placement classes you can, and do your best to earn high grades and test well in them. Getting good AP scores may mean you won't have to take some basic classes as a college freshman, and it can save you as much as a full semester's worth of work. It can be a squeeze to complete all the requirements for your degree in three years and still do high-quality work, but many students who have gone through the process believe it was worth it. They've saved thousands of dollars, enjoyed searching for professional opportunities before their classmates, and honed their organizational and scheduling skills along the way. At the same time, there's no shame in realizing that a three-year program isn't for you. It has significant downsides, including plenty of stress, and it's academically and psychologically demanding. Remember that your health should always be a top priority. If you need them, compromises are available, such as graduating a semester early instead of a full year early.